Although I don't remember giving Eric and Julia this piece of lumber, I am not one to disagree with them as they have better memories than myself. 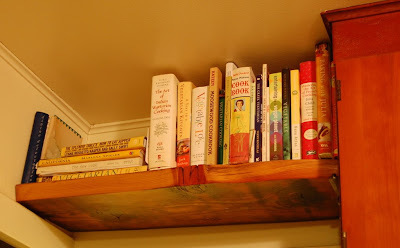 I always admire this shelf in their kitchen. George Nakashima as interpreted in their carefree ramshackle ways.